Using your ancestral lines, how far back in time can you go with FOUR degrees of separation? That means “you knew an ancestor, who knew another ancestor, who knew another ancestor, who knew another ancestor.” When was that fourth ancestor born? I knew my paternal grandfather, Hendrik Hoitink (1914-2000). He knew his maternal grandmother, Johanna Piek (1860-1930). She would have known her paternal grandfather, Gerrit Jan Piek (1802-1888). He would have known his paternal grandfather, Harmen Piek (1733-1817). So four degrees of separation get me back to 1733, when Herman Piek was baptized in Bredevoort. That’s pretty far! Harmen Piek may have known his paternal grandfather Harmen Piek, who was born in 1671 and died sometime between 1720 and 1745. He in turn would have known his maternal grandmother Aeltjen Dierkinck, who was born about 1615 and died around 1684. Isn’t it amazing that six degrees of separation takes me back four hundred years? All the Piek ancestors were born in Bredevoort as far as I can go back. Bredevoort burial records don’t start until 1759, so earlier death dates can only be estimated. How far can you go back with just four degrees of separation? Does it count if you knew one of your great grandparents? Absolutely! I didn’t have that privilege. Does it count when one was one year old when a grandfather died? What is the definition of “know” in this case? What’s the age of knowing someone? Shouldn’t it be the way around, that the ancestor knew you? That’s easier to establish, assuming none of them went mad. I only included links where the family members would have been in a position to have meaningful conversations together. The idea that my grandfather could have told me a story, told to him by his grandfather, etc. I knew and loved my Great aunt Bonnie, she had an Aunt Clara that was a genealogist. She knew and wrote down everything about her great grandparents. Aunt Bonnie’s aunt Clara gave her all of this info. Great Aunt Bonnie told me about her Aunt, and passed all this info to me. I think I have six degrees of separation. From her info, I was able to get in contact with the cousins in Sheepshead Bay, County Cork Ireland. I went there and had a wonderful look into my ancestors. She also gave me a good line to Mayflower ancestry. I love reading your articles. Thanks so much for writing them. 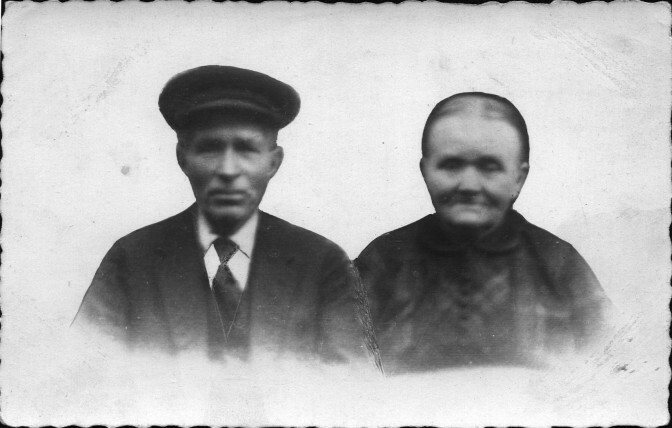 I knew my maternal great grandmother, Engeltje de Kock (1881-1964). She would have known her maternal grandfather, Leendert van Zee (1816-1901). He would have known his maternal grandfather, Koenraad Bijl (1756-1830). He would have known his maternal grandfather, Frederik van Zee (1695-1782). All of these ancestors lived in Herwijnen, Gelderland. In 1904 Engeltje married her second cousin, Frederick van Zee. They emigrated to the United States the same year and my grandmother was born in Iowa in 1908.